It is bad luck to be superstitious! Many players or the vast majority know that there is not bad luck in poker. However, many of them use certain "amulets" to avoid variance, bad beats or in this case "bad luck". Do you have any of them if so attach a photo please! Similar Threads for: It is bad luck to be superstitious! 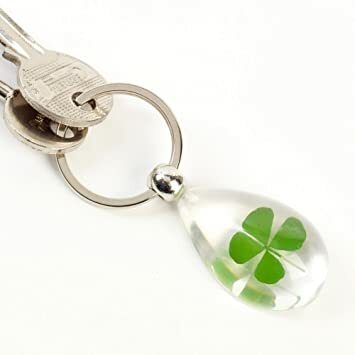 I have a key ring with a clover in it and a golden Buddha that sits on the table beside where I play. It is all in your head. Using them will give you self confidence that why they seem to work. But feel free to use them if it is something that works for you like a lucky amulet, pendant etc. Thinking positively also helps greatly. Be clear minded, have plans/strategy and most of be aggressive, most of the times you make your own luck in this game. I am not superstitious. I do, however, get mad when things don't go my way. re: Poker & It is bad luck to be superstitious! I have an amulet in the form of a game chip and it lies near the computer, but I think that it depends a lot on you and how you will play, and luck will come itself at some point, but can amulets and help in the game miscellaneous happen! The most powerfull amulet in poker is "cold head"
I use a coin from my grandfather. Old 50 cent piece no reason besides luck. I have no amulet, I always played without him. It seems luck is real and being unlucky is too. I have won with the worst hand almost all day before. (Not on purpose out kicked and hit a set or pair or something) and i have lost with the best hand all day? I don't know if its just online poker but i believe its all lucky. I would rather be lucky then good anyday! I think that against a random number generator no amulet not stand to be bit and his owner to lose faith in everything in the world! !